I previously talked about the masterpiece of a movie, "The Thing," all the way back in early 2011 and had the nerve to only give it 4 out of 5 stars because apparently the me from 2011 is a dumbass who doesn't recognize one of the greatest sci-fi and horror films of all time deserves top marks. "The Thing," truly is a marvelous movie, with its mixture of tight plotting, minimalist score, and amazing imagery. The titular alien with the ability to mimic/become anyone is as clever as it is terrifying, and the gross ways the practical effects gave us bloody and sinewy messes has stuck with viewers to this day. Much of the reason we all remember, "The Thing" is because of how beautifully disgusting it was. 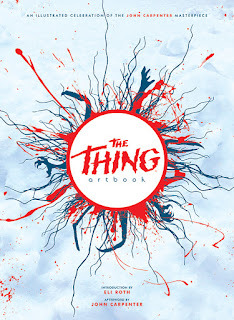 Therefore, an artbook titled--what else?--"The Thing Artbook," full of pieces inspired by the movie as we celebrate its 35th anniversary sounds like a smashing idea! 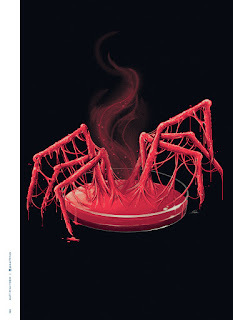 "The Thing Artbook," is published by, "Printed in Blood," who are a company dedicated to creating artwork inspired by an assortment of horror movies. 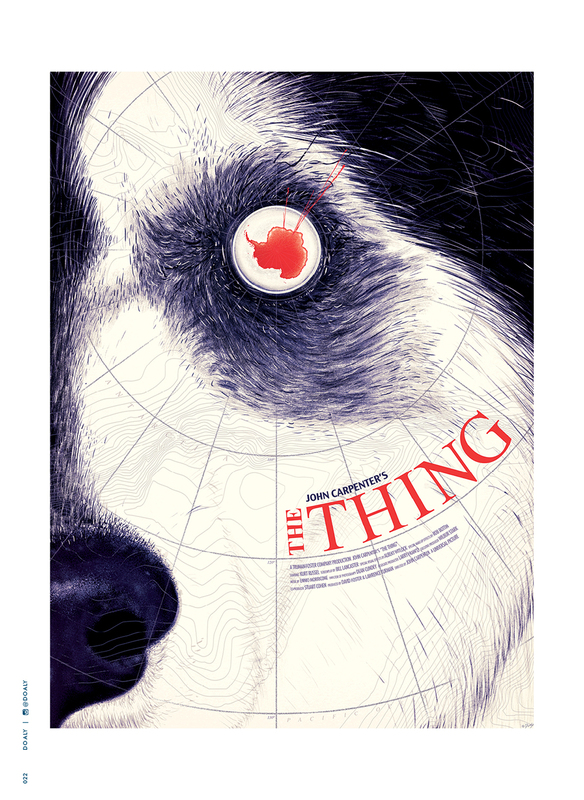 They truly have some amazing poster-prints so a big book full of artwork inspired by, "The Thing," would most likely impress any reader who holds a fondness for the movie, right? The answer to that question is, "Yes!" with this being a book full of stupendous visuals. Whether it is my favorite earlier section of faux movie-posters, pieces sporting humorous comic-book-esque drawings, violent images of the alien itself, or showing fantastic interpretations of assorted scenes from the movie, "The Thing Artbook," has some of the most twisted yet wondrous images related to this flick that I've ever seen. Whatever it is about, "The Thing," that grabs us and makes us love it is expertly captured within this tome. These images draw back out of us those same feelings of foreboding, abject terror, excitement, and even the bits of humor we had watching the movie for the first time. Looking-through this book and being reminded of all those amazing moments from, "The Thing," through a different metaphorical, "Lens," via the unique artwork makes it all just seem fresh and new again. It really is magical stuff. 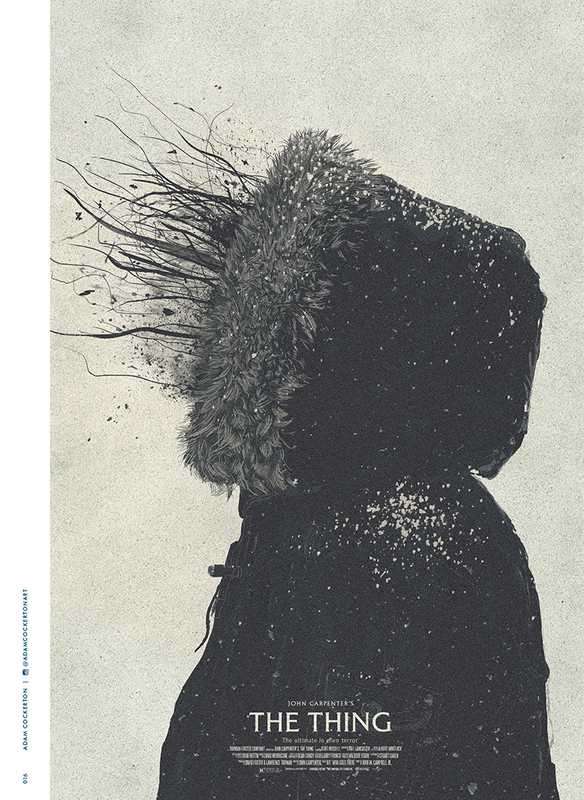 Considering how we all remember the visceral imagery of, "The Thing," a book dedicated to visuals is the perfect tribute. 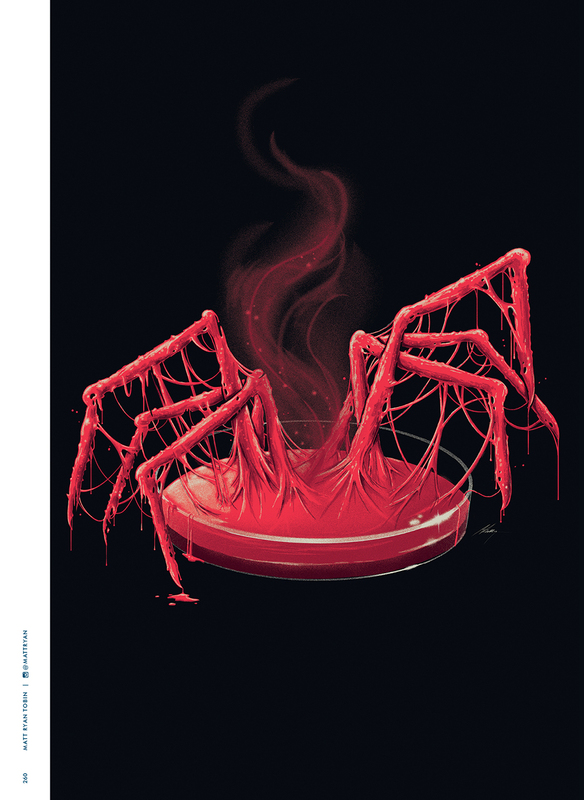 The foreward by filmmaker Eli Roth discusses just how influential, "The Thing," has been and the afterword by none other than Director John Carpenter himself where he expresses delight at what has been created simply help to drive home the point that, "The Thing," is a seminal movie, and clearly something that has inspired many of our imaginations. "Pritned in Blood," have produced a majestic publication in the form of, "The Thing Artbook," and I thank them for it. "The Thing Artbook," will be for sale later this July and you can pre-order it now here.